How Far Will OPEC Go For $60 Oil? Back in February sources from OPEC told media that Saudi Arabia is aiming for oil prices of $60 as the optimal price to encourage fresh investments in production while deterring shale boomers from further increasing their own output too much. Now, according to the Wall Street Journal, Saudi Arabia is joined in these ambitions by Kuwait and Iraq. We can easily understand why $60 is much more attractive for Gulf producers: earlier this year Fitch warned that most Middle Eastern and African oil producers would remain in the red this year, with average oil prices at $52.50 a barrel, as estimated by the ratings agency. Middle Eastern producers are heavy public spenders, and it takes more than two years to reform these spending habits in a way that would make them more suitable for a low-price environment. After all, just a year before prices crashed, Saudi Arabia’s then-Oil Minister Ali al-Naimi said that $100 a barrel was a “reasonable” price for oil. Apparently, not for long. 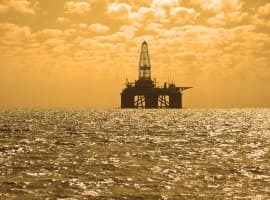 The report about some Gulf producers striving for $60 a barrel comes on the heels of the International Energy Agency’s latest Oil Market Report, which found that over the first quarter of the year, global crude oil stockpiles did not decline as a result of OPEC cutting production, as one would have expected. Instead, stockpiles actually went up during the period. Now, according to some, such as RBC’s commodity analysts, this buildup was due to refinery maintenance season rather than a very big increase in production. In fact, these analysts estimated that refinery maintenance accounted for as much as 64.2 percent of the overall stockpile increase, versus a meager 11.5 percent from additional production. Simple logic suggests that with refineries exiting maintenance season, we should soon start seeing draws in inventories. Last week, the EIA already reported a 2.2-million-barrel draw in commercial oil stockpiles. So far, so good, but it remains to be seen whether RBC’s estimates are correct: after all, the active rig count across the shale patch has been rising steadily over the last few months. and there are no indications that this trend will be reversed anytime soon. A production cut extension could push prices up higher, indeed, but for how long? What we have seen since the end of November and December, when OPEC and 11 non-OPEC producers agreed to start cutting, suggests that on its own, such a deal is not enough to send prices in the right direction. It takes more, including factors such as geopolitical events and supply and demand news from the world’s biggest consumers and producers. The output cut extension seems to be all but certain, and international prices are reflecting this, which means when the news is officially announced in late May, markets may react more calmly than some would expect. Meanwhile, in order to comply with their current lower quotas, Gulf producers are having to reduce exports and offer discounts in a bid to preserve market share. All this means lower revenues, despite higher prices. Will that be good enough for the Gulf producers who are fighting unprecedented budget deficits? First, Americans invent a creative way to extract oil from shale in a cost effective manner. The result is enough domestic oil production to satisfy almost half of the country's demand. That's freedom from foreign oil...Ha! OPEC begins to see that they will lose market share, so they flood the market with unneeded oil. Stupid OPEC! Oil prices crash (read economics 101)!! Their market share increases by 3 percent while their income drops in half. What did Mother Gump say?...Stupid is as stupid does! OPEC, filled with one-trick-ponies, begins to feel the pinch of economic collapse, and then in a stoic jesture, cuts production to "rebalance the market"...Ha! But then, they are greedy, and only cut enough production to about half of what they had increased production to start with...failure...Ha! They should have cut production by twice what they had increased for it to be truly effective (read economics 101). OPEC warns shale producers to help balance the market...Ha! Any one producer cannot, in a free market, control the market. So, they produce what they can at a price that is profitable. Synopsis: OPEC should slash production by 5 or 6 million barrels a day...something so high that the rest of the world cannot possibly replace in a short period of time. They should also set limits on non-OPEC production with a warning that if their production limit by non-OPEC producers exceeds their limit that they will flood the market with oil again to drive the price down to below $20 per barrel. This will remove the decision-making process away from the non-OPEC producers and into the hands of the financiers of the non-OPEC producers who truly take the risk. The problem with production cuts is that they are just creating spare capacity in the future. I believe this will keep a lid on prices unless demand growth accelerates. Moreover, US production likely expands by well over 1mm barrels/d by the end of the year, offsetting much of the benefit of the production cuts (particularly when considering members of OPEC that were exempted from the production cut requirements). Then release tens of millions of SPR oil to drown OPEC members in oil! Sweet revenge. Ha! So, what happens when this new efficient shale oil technology is exported to other countries? No matter what OPEC does, it will be losing market share. If they cut production it will be made up and the more the cut at once the faster it will happen. The only way for OPEC to make their monopoly last as long as possible is to pump enough so that the price is just less than the cost of bringing new shale oil online. Seems to be somewhere in the low 40's, but as shale producers get more efficient this will go lower. The only way to get to $60 a barrel oil is collusion and conspiracy, and even then it will be short term. The U.S. has incAreased production at $50 a barrel as its lowered cost. $60 will spur a Gold Rush, and it no longer takes 2 plus years to start seeing additional production, even as the price of production has fallen rapidly speed to market has become months rather than years. OPEC can try and manipulate $60 a barrel oil but that will just inspire more cheating, and huge increases in production by NON-OPEC players, especially the U.S. The higher the price of oil the more competitive renewable energy sources like solar, wind, nuclear are. At a time when all of OPECs cutbacks have not manage to reduce the glut of oil and gas sloshing around the world there is NO real reason for oil to be above $30 a barrel. It not supply and demand giving us $50 its the the games the entire industry and support industries including the markets are playing, all of whom want higher oil price. Let them play. $50 a barrel oil has turned on the spigot in the USA, and the glut is increasing. Let OPEC push it to $60 and sit back and watch what happens.